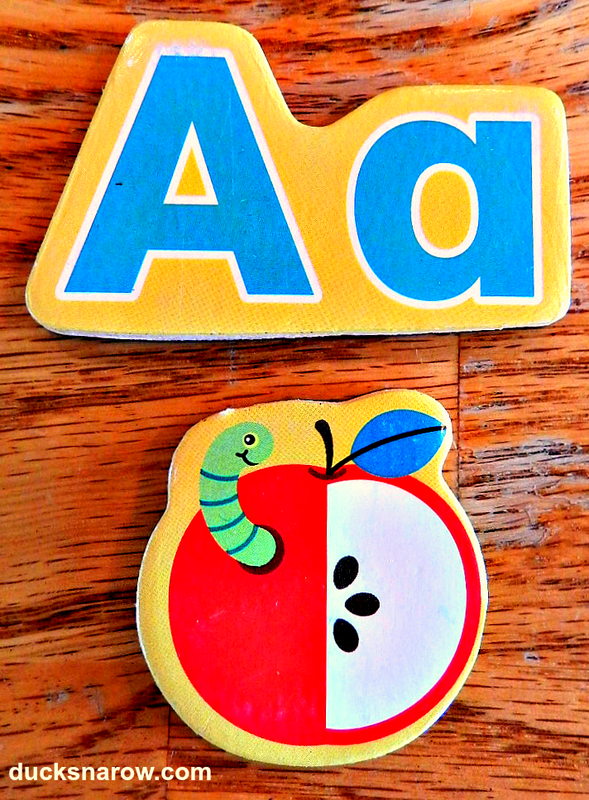 As a preschool teacher, helping children learn their ABC’s is dear to my heart. Toys that teach the ABC’s are a favorite. Toys that teach without NOISE are a joy to every adult in the room! Those who love electronic toys, please forgive me but there have been Christmases and birthdays that were so noise-laden that we had to make the kiddos put them away. 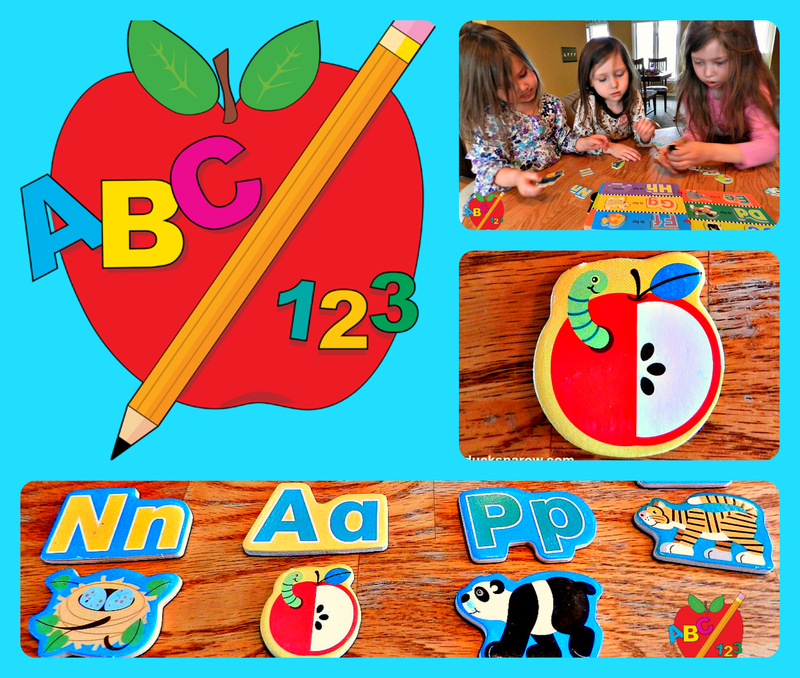 This Melissa & Doug Alphabet Puzzle Book is quiet, interactive and fun for children of many ages. Your kids can even play with it while you are taking a nap. Win-win! I purchased this puzzle book quite a while ago. Though a couple of my children have played with it, the real revelation of its versatility came when my three great grand-girls stayed overnight last week. Miss N is 2 1/2 years old. Miss A is 4 1/2. Miss M is 8. You would think one of them would have been bored due to the diversity of ages but that was not the case. It was fun watching all of them play with it together. Miss N is at the “what is this?” stage. She needed coaching but she wanted to put the pieces in all by herself. Miss A was fine on her own, using the shape of the pieces to help her if she wasn’t sure what went where. Miss M, at 8 years old, was my surprise. 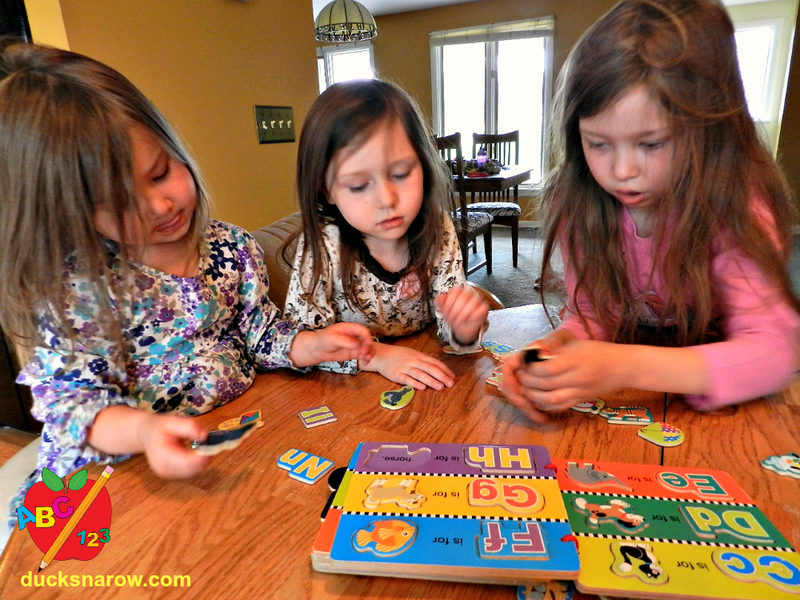 She was having lots of fun working the puzzle right alongside her little sisters and, when everyone was done, she made a pattern on the table with them. She discovered that a number of the pieces will stand up on end. Theoretically, kids could make in imaginary zoo or pet store scene with some of the pieces. 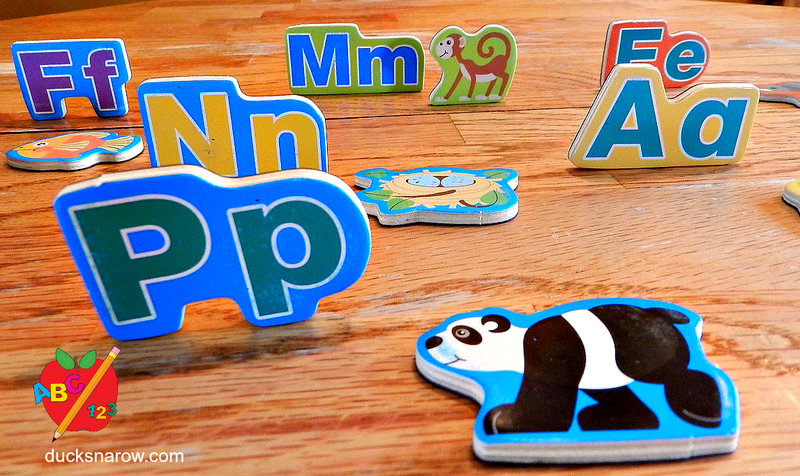 The Melissa & Doug Alphabet Puzzle Book is very durable. It is wooden and the depressions where the pieces fit are magnetic. They hold pretty well, though you have to turn the pages with care or some may pop out. Our girls did not mind that a bit. They were having fun. Price wise it is about $15.00. Well worth the investment: great, fun educational toy that will last through child after child. This is a toy that would make a great gift. Do you have a favorite toy that teaches the ABC’s?